Blogging and Content Marketing Archives - Page 6 of 6 - Go Creative Go! 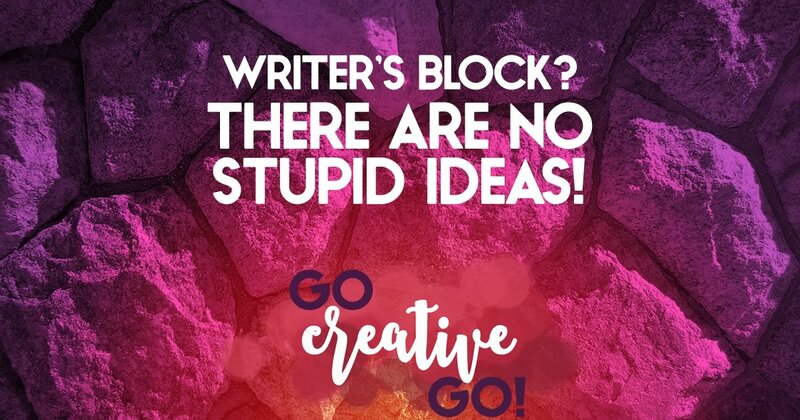 Beating Writer’s Block: There Are No Stupid Ideas! … at least when it comes to topics for potential posts and articles. There are no stupid article ideas, only the stupid people who don’t record or write them down in some fashion and then complain that they don’t have anything to write about. While not having time to write is the excuse I hear most often, it’s closely followed by, I don’t know what to write about. You know, they’re mired in the worst case of writer’s block ever known to mankind! Malarkey! You might not have a fully fleshed out article ready to publish just like that, but if you’re on board with the important of content marketing – and I know you are – then you’ll have some sort of idea list. That list is what’s going to get you through! You can keep the list in a composition notebook, in Evernote, in an Excel spreadsheet or store it in a Google Drive folder. That’s what I do. I have a folder titled Mallie’s Article Ideas. Each time I have an idea I create a new document. Sometimes all that I add to the new document is a title. Sometimes a quote, or a bulleted list. Regardless, I’ve jotted down the idea, no matter how small and it’s waiting for me when I get the AHA moment to flesh it out into a full article. You never know when inspiration will strike. Readying yourself for that strike with a lovely list of ideas is so very smart. Instead of feeling overwhelmed about what you’ll write about today, you’re presented with a plethora of possible topics. You need only scroll through your list. If you’ve kept that list topped up, something will grab your eyes as they pass by and transmit a “that’s the one” message to your brain. How Does This Work With A Content Calendar? I’m so glad you asked! I maintain a very loose interpretation of a content calendar. Rather than marking that Monday is the day for Article A, I simply designate Monday as a day when I’ll publish something. By doing so I’m not forced to push through publishing an article that I’m not feeling all that jazzed about at the time. Instead, I whip through my trusty list until inspiration strikes. Clean Out The List Once A Week, For Clarity. Once a week I go through the list to see if I need to delete anything that is no longer of interest (maybe someone else already wrote it up and there’s not much else I can say). If I’ve merged any ideas together, I clean that up, too. If I’ve published an idea, it gets moved to my published folder. Why not just delete it? I like having a quick reference for what I’ve already done. I sometimes jot create 15 documents in an hour. And sometimes several days pass between entries. But by keeping that growing list, I’m never stuck with only one topic. I can’t choose not to write because I’m not “feeling” a certain topic. With a list full of my ideas, I can always find something that sparks me to publish. How do you collect and save article ideas? Do you keep a running list? How do you beat writer’s block?